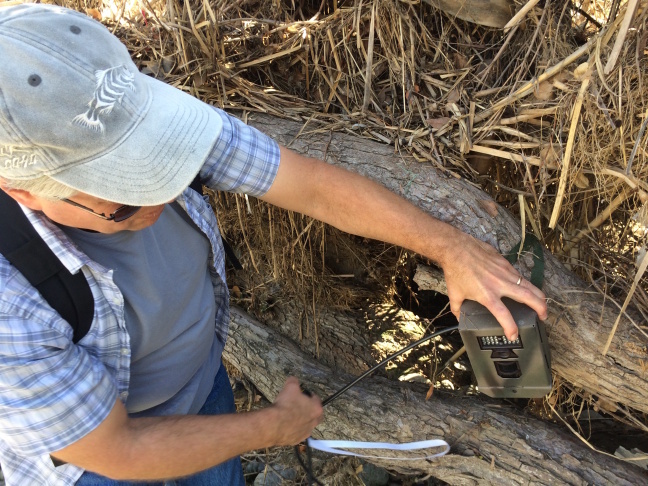 Jim Dines reinstalls a wildlife trail camera along the LA River. Jim Dines, biologist with the Natural History Museum of LA County, holds the remains of a stolen trail camera's locking mechanism. 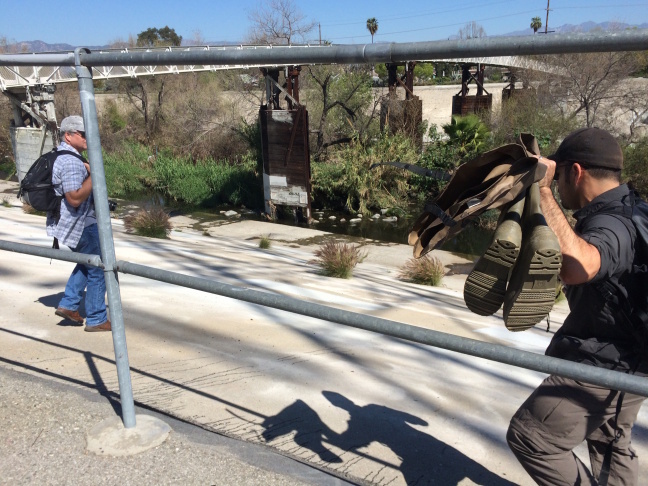 Jim Dines (left) and Miguel Ordeñana (right) head to check a wildlife trail camera along the LA River. 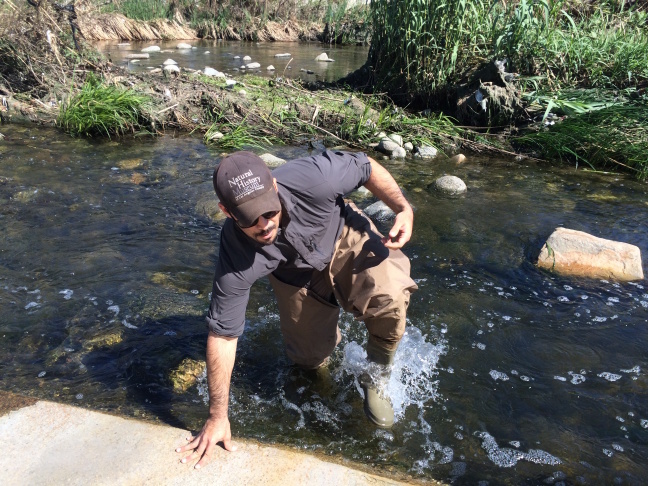 Miguel Ordeñana, a biologist with the Natural History Museum of LA County, returns from checking a trail camera in the LA River. 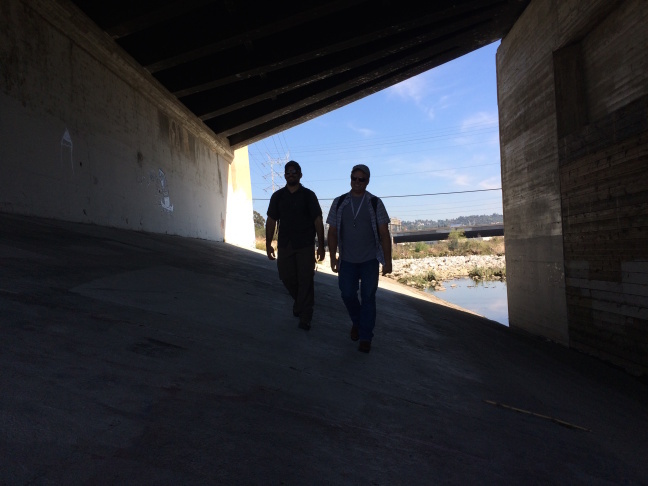 Miguel Ordeñana and Jim Dines check trail cameras along the LA River as part of a research project on biodiversity. Ahead of a planned $1 billion revitalization of the Los Angeles River, groups are laying the groundwork for changes they will propose. For some conservation groups, that groundwork includes cataloging the wildlife that currently uses the river as habitat or as a transit corridor. 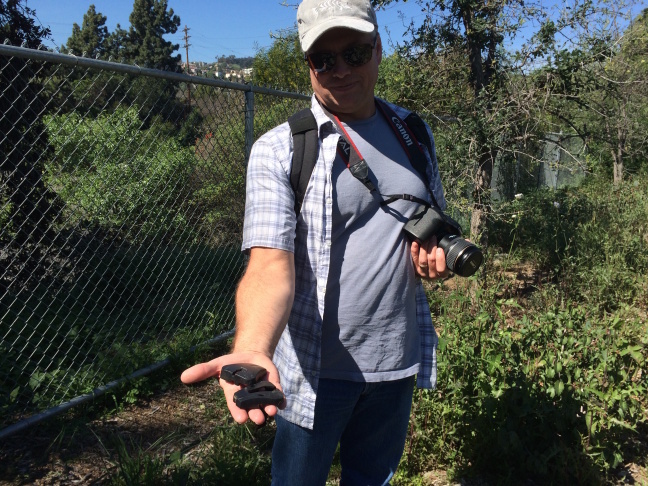 Jim Dines and Miguel Ordeñana, biologists with the Natural History Museum of Los Angeles County, have begun documenting the wildlife that exists within a stretch of the river near Atwater Village. The work is being funded by grants to the Nature Conservancy from the Santa Monica Mountains Conservancy and other sources. As part of a suite of studies, Dines and Ordeñana have been subcontracted to monitor how mammals use the river. The duo set four trail cameras in different spots along the river to see how wildlife is using the river. 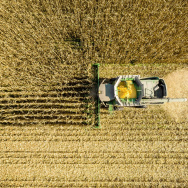 The method is becoming more common in biodiversity studies as technology has improved and gotten more affordable. "It’s a great way to see what sorts of animals — mammals, for example — might be using the area," said Dines. Unfortunately, two of the cameras have been stolen. Dines said each rig costs about $250 but that the real loss was the photographic evidence each camera held. 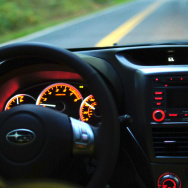 "Essentially, that’s three weeks worth of field work that have been lost. 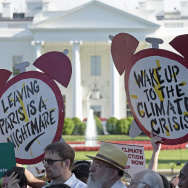 We don’t know what, if anything, those cameras had captured,” Dines said. Fortunately, the two remaining cameras have managed to capture thousands of images of the river. The pictures provide a glimpse into the animals that live along the river, including waterfowl, raccoons, rats, coyotes and other creatures. Even the river itself seems to be a dynamic entity when the photos are seen sequentially. Heavy rainfalls cause it to wax and wane. At its peak levels, detritus can be seen floating away downstream. The first round of images ​show that as river conditions change in the monitored spots, so does the wildlife that utilizes those spots. Ordeñana said his hope is to see a bobcat in one of the pictures someday. Such a hope may not be unwarranted. A colleague of his recently discovered a dead bobcat on the side on the 2-Freeway in Elysian Park. Ordeñana said that if bobcats' ranges include Elysian Park, the Los Angeles River could be an important connective passageway for wide-ranging mammals. That kind of information would be useful for understanding how revitalization efforts could be used to benefit animals such as bobcats. “Having them documented in an area like this means that this is a being used as a corridor and that it’s wild enough to support more sensitive species that need more space, more cover, and [are] a little bit more elusive," Ordeñana said. 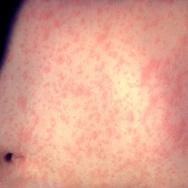 Images courtesy of Jim Dines and Miguel Ordeñana, Natural History Museum of Los Angeles County. Time lapse graphics and video created by Maya Sugarman.